Deluxe Bamboo Pillow Combination With Shredded Memory Foam and Your Choice of Firmer or Softer Support! Deluxe Bamboo Shredded Memory Foam Pillow It's Really As Cozy As A Cloud! PLUSH AND COZY, CLOUD-LIKE MEMORY FOAM PILLOW THAT NEVER GOES FLAT! Shredded style memory foam pillow that never goes flat. Heat dissipating properties that keeps the pillow cool all night. Chiropractor recommended for proper neck support and spinal alignment. Soft, durable & hypoallergenic: dust mite resistant & fully machine washable. All components and materials made in the USA. Safe for toddlers, children, adults and seniors. Available in Standard/Queen size and King size. Soft and firm options available. FREE exchanges. 10-year warranty, NO HASSLE 30-night return policy. Here’s just one of the many amazing Amazon shopper reviews. These shredded foam pillows really do set the bar for comfort. I’ve tried several high end and low end pillows and nothing compares to these, period. Somehow they found the perfect blend of firmer and softer for filling, and the cover is just the right balance of soft and sleek PLUS there’s good airflow so your head doesn’t get hot and sweaty. Originally I bought the “softer” pillow and found that I wanted a little more support. So I went ahead and purchased the “firmer” pillow to see the difference. My dad actually hijacked my softer pillow (he’s a side sleeper) and he loves it. He said he had one of the best night’s sleeps in a long time AND…he didn’t wake up with a sore neck for once! I finally got him to throw out his super old flat pillow too…bonus! So I ended up keeping both pillows and looks like I’ll be picking up a couple more here soon. The pillows came rolled and packaged air tight. They were very thin/flat at first, but take just a few minutes to pop back into full shape. They arrived very quickly – just two days. Definitely worth trying out these pillows – especially with their great support and guarantees. Read more reviews. Shaped like a traditional down pillow, but stuffed with hundreds of very small pieces of a plush composition – all made in the USA. Foam fill and fiber blend, the CozyCloud™ Deluxe combination bamboo memory foam pillow is quite simply the most comfortable pillow you will ever own! This cloud-like pillow will cradle your body in only the way that high quality and high density shredded foam can, for a down-like comfort that won’t flatten out. The CozyCloud pillow doesn’t need to be continually fluffed, and will offer you extra cervical support with its superior contouring abilities. With an affordable price under $100, CozyCloud can’t be beat. Those who need more neck support will notice the difference that the contouring ability makes on the quality of their sleep.The composition also makes it a great choice for allergy sufferers who need a down alternative pillow. Our Firmer version offers more buoyancy to keep your head from sinking in as much. This can be ideal for side sleepers, multi position sleepers or back sleepers who still want cozy comfort, but need firmer overall head and neck support. Stomach Sleepers, as well as certain back and side sleepers who do better with their head at a lower angle, will love the extra contouring and cradling comfort that the Softer version provides. The CozyCloud pillow is fully machine washable thanks to its Air-Vent™ bamboo breathable cover matrix, making it the most versatile, cool and coziest pillow available. 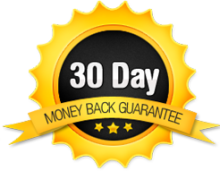 We have made this RISK FREE with our 10-year warranty and 30-night, no hassle return and no cost exchange policy. Don’t accept cheap fillers or overseas made substitutes…order the CozyCloud™ Deluxe pillow today! An affordable, down alternative that conforms perfectly to your shape for a custom fit every time. While the CozyCloud™ conforms to your neck and head for proper orthopedic support, the fluffy, yet resilient and light fill used in our pillows will adjust to each position you sleep in, making it perfect for stomach, back and side sleepers alike! Better alignment while you sleep can also help reduce snoring and offer the spine support you need to avoid neck, lower back, upper back and shoulder pain. Although this specialty pillow has a universal comfort that adapts to the shape of your body, only the NEW CozyCloud Deluxe pillow offers you a choice of Firmer or Softer support with FREE Exchanges from firmer to softer or softer to firmer if you are not completely satisfied. The CozyCloud™ pillow is a synthetic down sleep solution that uses high density shredded foam, which is inherently dust mite resistant. Our bed pillows are also CertiPUR-US Certified to be free of formaldehyde and low in volatile organic compounds (VOCs), which are known to cause respiratory problems and skin irritation for allergy sufferers. Helping to prevent your head and neck from heating up, our soft and Luxurious Air-Vent™ Micro-Vented Bamboo Cover, along with our soft and fluffy interlocking foam pieces, offer an unprecedented breathability that allows air to circulate through the pillow and helps you stay cool all night long! Our cover is manufactured in the U.S.A. using 40% bamboo fibers and 60% Polyester. 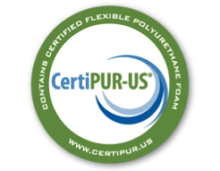 CertiPUR-US certification ensures foams are meeting current safety standards and are free of toxins found in a wide array of products like couches and carpets. Our pillows are free from formaldehyde, which in 2011 has been described as a cancer-causing agent by the US National Toxicology Program. With the CertiPUR-US certification, you can also be assured that our luxury pillows are free from phthalates and ozone depleters, mercury, lead and other heavy metals. We only use shredded memory foam that has been tested and certified by CertiPUR-US® Certified for being low in VOC and environmentally friendly. They’re also made without PBDE, formaldehyde, or flame retardants. 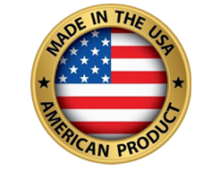 Our products are 100% made in the USA and manufactured in Southern California. CozyCloud™ pillows were tested and designed by a chiropractor and a research scientist and recommended for proper neck support and spinal alignment. You can sleep well knowing that you have a full 30 days from the time you receive the pillow to test and ensure that it is right pillow for you. If you are unsatisfied for any reason, you can either exchange the firmness of your pillow and we will pay all expenses, including the round trip shipping costs or you can simply return the pillow completely hassle-free and the best price available. We have one of the best warranties in the business! The bamboo pillows are guaranteed in full for the 10 years. Our warranty terms are simple and hassle free. Should your pillow not function properly during the first 10 years of ownership, you simply need send it back to us and we will fix the pillow with no pro-ration fees whatsoever! Free 2-Day Shipping For Amazon Prime Members! How is this pillow better than other bamboo memory foam pillows? Our specialty pillows are made in the USA using all USA made materials and the quality is of the highest caliber available. 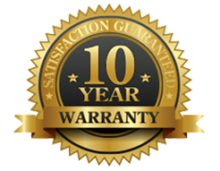 This allows us to give a much stronger 10-year warranty over the competition. We use bedding grade foam and a thicker bamboo covering also that gives the pillow a more luxurious feel. We use Certipur-US certified foam to ensure that the foam has a low V.O.C. product made without PBDEs, Formaldehyde and ozone depleters. Lastly, we came up with a proprietary way to make two comfortable and cozy pillows with two different firmness/support levels, and the ability to exchange from a “softer or firmer pillow” to a “firmer or softer pillow” at no extra cost. What is the difference between this deluxe version and the regular? Also, I like a supportive pillow, but don't want it to be too hard. Which one should I pick? The “Deluxe” is the newest CozyCloud pillow with two levels of plush comfort designed to give a more more specific level of support. It uses a different proprietary shredded foam mix than the original CozyCloud. We recognized that a good Bamboo Shredded Memory Foam Pillow would be more universally adaptable to each customer’s needs than other styles of pillows, so we chose to work with a top quality brand that made everything, including the materials, in the USA. However, we felt that the two greatest complaints with this type of pillow were that the same orthopaedic pillow could be too soft for one customer and too firm for another. So, we wanted to be the first to give you a choice, and give you the option for a free exchange in – case you felt that you chose incorrectly. 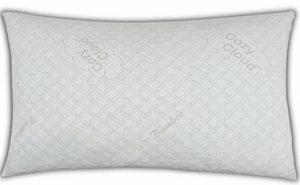 How does the CozyCloud pillow compare to the "As Seen On TV" bamboo pillow? Unlike certain “As Seen On TV” bamboo pillows, the CozyCloud Deluxe is fully made in the U.S.A. and uses a luxurious and Breathable Air-Vent matrix to offer increased breathability over covers that do not allow full airflow circulation. Additionally, the shredded memory foam used is a premium bedding grade that is more durable and much higher end than the usual conventional grade foam mix. That is why we offer a leading 10-year warranty. In addition, we offer two different types of firmness and we allow you to exchange from a Firmer to Softer or Softer to Firmer at no cost, should you feel it is needed. Is this pillow made completely in the USA or just a part of it? It is true that “Made in the U.S.A.”, does not mean that every component is made in the U.S.A. and in fact, it may mean that only the final assembly is done in the U.S. However, we are one of the few mattress companies that has had our entire memory foam product supply chain audited and certified as all U.S. made. This pillow is one such example, as all the foam is made in the U.S. and even the Air-Vent breathable Bamboo fabric material is knitted in the U.S. and then hand sewn into a cover right here in California. The shredded memory foam itself comes from the excess material found in our high-end mattresses that have been made into small pieces from our ventilator and shredding machine. Lastly, we support local jobs by hiring 100% of our staff right here in Southern California. What are the cleaning instructions and how often should you wash the pillow? The whole CozyCloud pillow can absolutely be machine washed and dried. This option makes the pillow perfect for acne sufferers who need to keep their pillows clean. For purposes of airing out and fluffing up the pillow, we recommend just placing it in the dryer for 20 minutes. When washing the pillow, use cold water on a gentle / delicate setting. Other than detergent, if needed, color safe hydrogen peroxide bleach may be used for tougher stains as the pillows and their cover are both white. Please ensure that the washing machine is well balanced, due in part to when the pillow is fully saturated it can throw the spin cycle off if the load is not in balance. When the pillow is done in the washing machine, feel free to squeeze the pillow to remove any excess water that was absorbed as this will help reduce the time needed for drying. For drying the pillow, we suggest starting out on a low heat setting and if necessary, gradually increasing the dryer heat until the cycle takes no longer to dry than a large load of laundry. We recommend following this procedure because each individual’s dryer works at different levels of strength. What is low heat on one individual’s dryer may be medium or even high heat on another. Putting the pillow in the dryer will actually revitalize the pillow, so feel free to do so every so often. All CozyCloud™ bamboo pillows are available on Amazon.com and shipped from Amazon for safe and speedy delivery! Feedback and reviews from some of our happy customers. Excellent pillow. I bought it for my husband who snores and needs neck support. It worked just as I hoped–no snoring last night! I searched and searched for the perfect pillow from memory foam to tempur and still was not contented until I found Cozy Cloud and it changed my life. Sleep is so important to me coz when I get a good and comfortable night of sleep, I wake up happy and can function healthy during the day! I have the energy to do all things like concentrate on work, go to the gym, and hang out with friends! Im now a loyal customer of this brand! I love this pillow! I slept so much better with no aches on my neck or hip joint. I’m a side sleeper and this pillow conforms around my neck or hip to align my body giving me a lot of comfort. Also, I don’t wake up sneezing or with itchy nose unlike what other pillows made of synthetic fibers. I would definitely buy more pillows from this company! My family has many sleep challenges, apnea, feather allergies, insomniacs… name your sleep disorder and we likely have it, raising four children in a state with real weather, with multiple allergy seasons and you can appreciate the situation. We have tried many pillows before, have tried foam mattresses, toppers, etc… My Fitbit had me at less than 5 hours of restful sleep per night; enter CozyCloud… we bought four – two of the softer and two firmer and have fallen in love with the feel, not sure what it is but these pillows do not get hot like other foam products and consensus from the family is a preference for the softer version, as they both give plenty of lift, bounce back every morning and could always be folded in half- don’t get me wrong we like the more firm (really more filling) but my girls have informed me the slimmer one is a better fit for them… could be the lighter frame, anyway I highly recommend these pillows as a good value, of high quality, and oh… I have added an additional hour of restful sleep, which in my book is the true and final test! I went on vacation and my friend had these really comfy pillows made of bamboo memory foam. So I went online and decided to search on Amazon. There were a lot of other bamboo memory foam pillows but i asked the seller about polyurethane and i was impressed about their Certi-PUR certification. They definitely are not like those bamboo memory foam pillows made in China. So I was very excited when I received my King Soft. It was very soft and fluffable unlike my old curved gel memory foam pillow. Great purchase! This pillow is AMAZING! I love it! I have been a terribly light sleeper forever, and often suffer stiff neck and shoulder aches when I wake up. Finally a product that supports my neck and is so comfortable I get a terrific night’s rest. I have the Firm version, the softer one is probably terrific too. I would highly recommend this terrific pillow!!!! One of a kind pillow! I have been suffering from insomnia for many years and have tried many different kinds of pillows. Since I started using Cozy Cloud deluxe firm, I am able to fall asleep quicker and wake up refreshed. I am so pleased with my purchase, that I ordered more pillows for my 6 grand kids, who often spend the night. These pillows are hypo- allergenic, so it is safe for youngest granddaughter, who has asthma. This pillow is amazing! It stabilizes and gives good support on my head/neck when I sleep. It is very comfortable and I sleep better now because of it. I highly recommend this pillow if you want quality and comfort. I am going to order more for my guest room! I wanted to try out a different type of pillow and heard about bamboo memory foam and decided to try the CozyCloud Deluxe out. I ordered the Queen size Softer pillow. The pillows were nicely packaged and instantly fluffed up upon opening. The shredded memory foam is much different from my old Tempurpedic pillow and initially felt lumpy. I then followed the instructions to put in the dryer for a few minutes. It came out even more fluffy and soft almost like a down pillow. I have slept on it for about a week now and it gets my thumbs up. Also I did order the Queen size but it managed to fit into my standard size pillow cases. We ordered both the softer and firmer, one of each, king size. The pillows come shipped in a vacuum bag and they give you instructions on how to “fluff” them up; mine did not need it–after five minutes they were fully expanded on their own. I was worried that there might be a plasticy smell with the pillows packaged so air-tight; Nope, their is no smell at all. The first think I noticed about these is that these are biiigggg pillows. They are every bit of king size, no skimping. I personally like the softer one but both firmness’s are still way better than any other pillow I’ve used before. I bought some expensive pillows from Ikea earlier in the year but they still were not very comfortable. With these CozyCloud pillows, I have finally found a product that doesn’t give me a stiff neck or cause me to toss and turn. Give these pillows a try, I think you will find them as great as I have. We Have Made This RISK FREE with Our 10-Year Warranty and 30-Night, No Hassle Return and No Cost Exchange Policy. 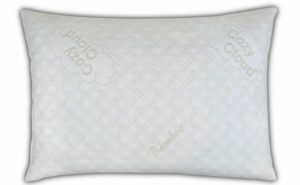 The CozyCloud™ Deluxe Bamboo Memory Foam Pillow is an exclusive product of iDreamBest, LLC and is 100% made in the USA. ONLY CozyCloud™ Deluxe Pillows by iDreamBest, LLC are guaranteed to be genuine and covered by our 10-year warranty and free exchange policy. 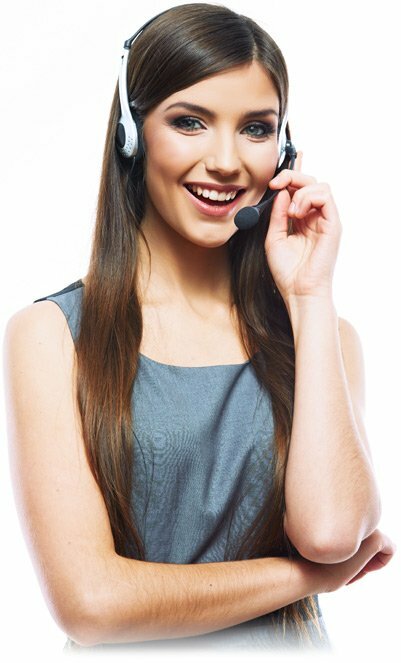 If you have any questions or need support, please contact us anytime and a support specialist will be happy to speak with you. Copyright © 2017 CozyCloud™ by iDreamBest, LLC · Deluxe Bamboo Shredded Memory Foam Pillow · All Rights Reserved.